SAMUEL COCKINGS 2013 and SAMUEL COCKINGS 2018 take a look forward and back at TEMPORAL ANOMALY! For SAMUEL COCKINGS, the Harry Potter of CGI, it has truly been a long road getting from there to here. 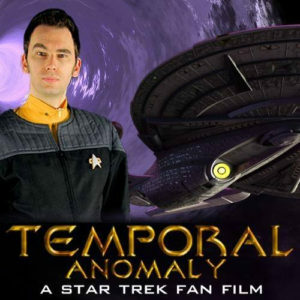 “There” was 2013 when he launched a Kickstarter to fund his fan film project, STAR TREK: TEMPORAL ANOMALY. A month later, he’d raised £1,741 (about $2,700) with 27 backers. Compared to some of the Trek fan films at the time, this was a “humble” amount, but it was enough to assemble half a dozen actors, get them into Stafleet uniforms, and film them in front of green screens for a nearly hour-long fan video movie. And then five years happened. To be fair to Samuel, he was doing anything BUT procrastinating during that time. His skills and resources were constantly expanding, and his abilities to create a better and better looking fan film around that green screen footage were growing by the day! Early last year, however, just as he was finally planning to debut his long-awaited fan film, Samuel released a trailer that included footage of Picard, Riker, Worf, Troi, etc.—who would be in a short 90-second “prologue” to the film—and got the attention of CBS (and not in a good way). But rather than shut him down completely, CBS worked with Samuel to find a way that he could release his fan film and not have to toss all of his hard work. So…kudos to CBS for finally taking a chill pill. Those CBS changes have required nearly ten months to complete, but now Temporal Anomaly is nearly ready to premiere later this month. And when it does, I’ve got a great audio interview with His Royal Trekness that you’re all gonna enjoy listening to. But right now, in anticipation of the impending release of five and a half years of work and dedication, Samuel has posted a special video which takes a look back at the journey…including footage of himself from 2013 and his initial Kickstarter campaign plus comparisons of shots and CGI from back then with what we’ll see in just a couple more weeks. 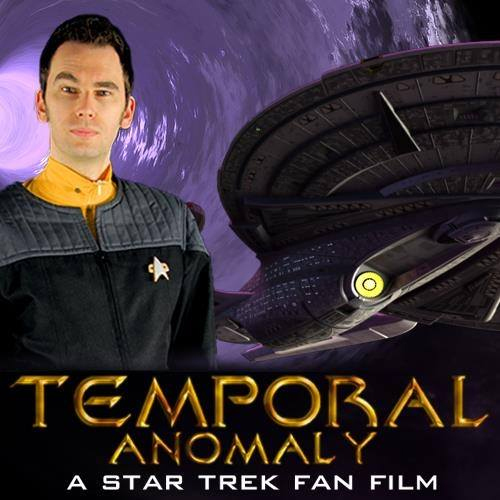 Author Jonathan LanePosted on January 7, 2019 January 7, 2019 Categories Fan Film Features, NewsTags Samuel Cockings, Star Trek: Temporal Anomaly, Temporal Anomaly, Trekyards3 Comments on SAMUEL COCKINGS 2013 and SAMUEL COCKINGS 2018 take a look forward and back at TEMPORAL ANOMALY! TEMPORAL ANOMALY concludes talks with CBS, gets small guideline EXEMPTION and release plans! Well, folks, there’s some good news, some bad news, and some rather shocking news involving the fan production STAR TREK: TEMPORAL ANOMALY. As you might recall from this blog update that I posted last month, CBS had contacted show-runner SAMUEL COCKINGS with some concerns over his soon-to-launch fan film. Weeks earlier, Samuel had released this trailer that raised a few red flags with the corporate Star Trek copyright owners. Specifically, there were four concerns. The first was easy to fix. The fan film guidelines don’t allow for the name “Star Trek” to be part of the title. 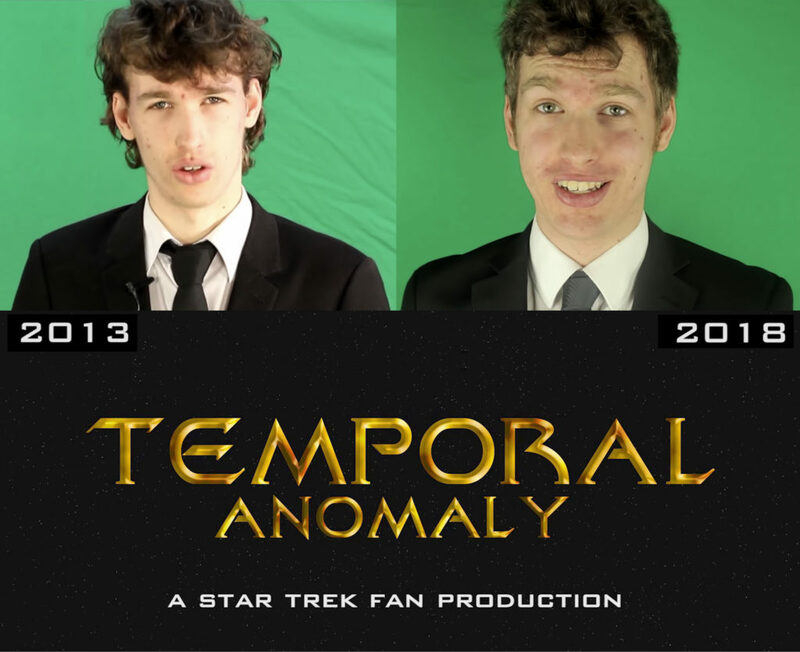 No problem there:”Temporal Anomaly – A Star Trek Fan Film” it is! The second problem was length, about 50 minutes long. The guidelines specify a maximum of two 15-minute separate fan films. Of course, Star Trek Continues released five full-hour episodes after the guidelines were announced (four of them having been filmed and produced after the announcement), and STC was never stopped by CBS. The third problem was that the trailer included footage taken from actual TNG movies with Picard, Riker, Data, Worf, and Troi on the bridge. Using existing Trek footage is a no-no. Granted, Samuel only needed it for a brief intro sequence at the beginning and a short epilogue at the end, but still…not kosher with the suits at CBS. And finally, there was the music, nearly all of which is existing copyrighted scores from various Star Trek TV series. 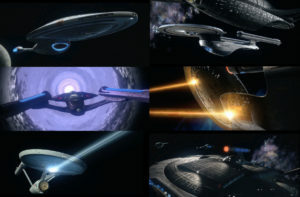 Although many other fan films liberally use existing Trek background music, Temporal Anomaly had gotten on CBS’s radar, and the studio wasn’t going to ignore the obvious. So what’s the good, bad, and shocking news? Author Jonathan LanePosted on April 24, 2018 Categories Fan Film Features, NewsTags Samuel Cockings, Star Trek: Temporal Anomaly20 Comments on TEMPORAL ANOMALY concludes talks with CBS, gets small guideline EXEMPTION and release plans! 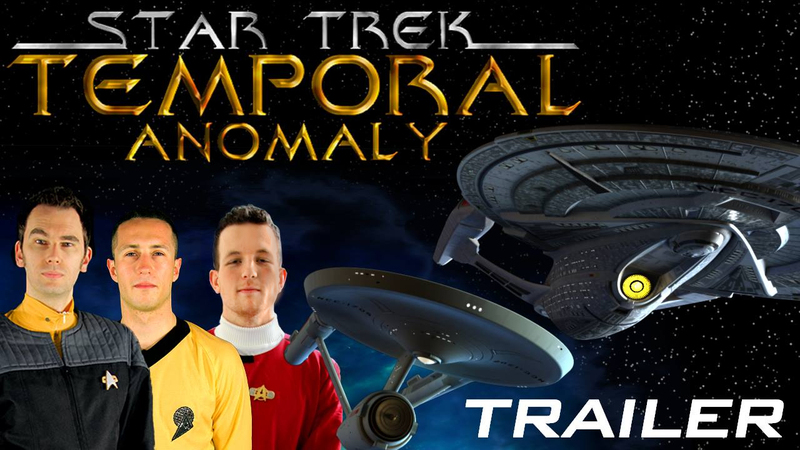 CBS contacts and delays the STAR TREK: TEMPORAL ANOMALY fan film! Okay, no one panic! CBS isn’t going all lawsuit-happy again. In fact, it’s possible that their experience in the Axanar lawsuit has resulted in a new approach to dealing with Star Trek fan films that concern them: Ask questions first, shoot later. The first time post-lawsuit that CBS contacted a fan filmmaker with concerns was early in 2016 when Tommy Kraft was trying to raise $250,000 for Star Trek: Federation Rising, his sequel to Star Trek: Horizon. CBS requested strongly (but politely) that Tommy shut down the project, and he complied. CBS has been pretty quiet since then when it comes to fan films, until now. SAMUEL COCKINGS recently released his trailer for STAR TREK: TEMPORAL ANOMALY, a fan production he has been working on for five years. I interviewed him about that project here. For reasons that will likely become super-obvious when you view the trailer, this planned fan film raised some red flags with CBS for not following a few of the announced guidelines. While the intent was to release Temporal Anomaly today we were contacted by CBS and are now delaying release of the film until those discussions are concluded and resolved. These have been polite communications and we thank CBS for their approach in dealing with these concerns. We had hoped to release the project in its pre-guideline state as Temporal Anomaly was written in 2013 and filmed in 2013/2014 however a public release of this now dubbed “Directors Cut” is no longer possible. A public altered edit of the film may be able to be produced but we are in the early stages of that. Thank you for the support and interest you have shown, there will be an update on Kickstarter for our backers shortly. Author Jonathan LanePosted on March 31, 2018 April 9, 2018 Categories NewsTags Samuel Cockings, Star Trek: Temporal Anomaly86 Comments on CBS contacts and delays the STAR TREK: TEMPORAL ANOMALY fan film! What? 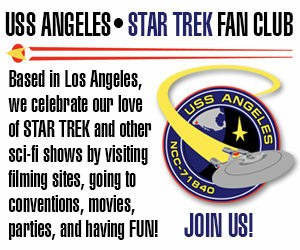 You’ve never heard of the fan film project STAR TREK: TEMPORAL ANOMALY??? Where have you been for the past five years? Just kidding. Most members of the fan film community have never heard of this production…even though it goes all the way back to 2013. 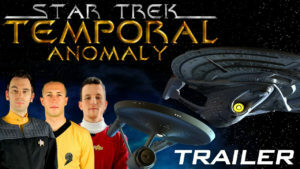 In fact, along with Star Trek: Renegades and Star Trek: Deception, Star Trek: Temporal Anomaly was one of the first three Trek fan films to ever fund successfully on Kickstarter. Not much to write home about by today’s fan film standards, but back in 2013, that looked like a pretty cool green screen-based fan project. Earlier today, writer/director SAMUEL COCKINGS released a brand new trailer for Temporal Anomaly along with a promise to release the finished film NEXT MONTH! Look for a follow-up interview next month when Star Trek: Temporal Anomaly is released onto the Internet in its entirety!